For many people, there comes a point when it is clear they are in need of a career change. This may be a gradual realisation that dawns over time, or the result of a singular defining moment – either way, the need for change is overwhelming. 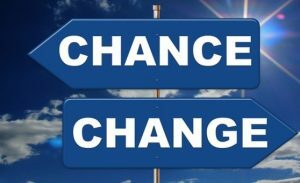 If you have experienced such a moment, you will likely be familiar with the following: you know you want change… but you’re not entirely sure what that change should be. Reaching the decision to pursue something new in your career is hard enough; now, you have to refine that desire into an actionable plan to move forward. The most obvious career change isn’t necessarily a full change, but it can make a huge difference to your everyday working environment and your potential remuneration. Upwards moves are essentially promotions, either within your existing company or involving a move to a competitor: you will be working in the same field and sector, but in a more senior position. You will usually need substantial experience to complete an upwards move. Alternatively, you can seek to undertake additional education with a specialization on management and leadership; these are essential skills for senior roles in almost any organization, so they should stand you in good stead when applying for next-level positions. This choice is best applied if you began your career at an entry-level position; for example, as an administrator. When you have worked at an organization for a period of time, you will likely have come to know the ins and outs of how a company operates – and this, in turn, can help to refine your thinking regarding your future career path. For example, you may have worked in admin but noticed how exciting sales seems to be, or dealt with a good HR department and wondered what it would be like to work in that role yourself. While you are not moving “up” the ranks, you are moving into a more specialized field; as a result, you will often require additional qualifications or training to complete a sideways move. This may involve undertaking a course on the psychology of selling, or deciding to get a Masters degree in HR from RMIT or similar to allow you to make the sideways move to a more specific role within an organization. This further education may be time-consuming, but it can provide you with the background knowledge you need to truly change your career for the better. The idea of a backwards move may seem like an odd one, but we’re talking about career change, not just improvement. Sometimes, moving your career a step back can actually be a good choice. If you have been working in a management role, the idea of returning to entry-level work is unlikely to be inviting. However, what this move can do is provide you with time. Management and senior roles tend to involve a huge amount of time even outside of office hours, which can greatly restrict your ability to obtain further qualifications or even just research alternative career options. By moving backwards, to an entry-level position, your stress levels and the demands on your time will be minimized. This can provide you with the freedom you need to truly determine what you want next from your working life; be that studying, taking a career break to go travelling, or completely retraining. You may be wondering why you should move backwards to an entry-level role rather than just quit your job. There are two reasons for this: first and foremost, you have to be in a sound financial position to be able to do this. Secondly, “taking a few months to consider my options” doesn’t look great on a resumé. It is usually preferable to stay employed, with a steady income stream, in a simplified role, than outright quit altogether. However, if you would rather quit your day job so as to focus on considering your options – and you have the financial security to make this viable – then this may also be a viable “backwards”-style step to take. If you have come to the conclusion that there needs to be a significant change in your career, the options above may help to refine your thinking. With a clear sense of direction in mind, you can pursue the next steps of the career change that you have been hoping to achieve – good luck!